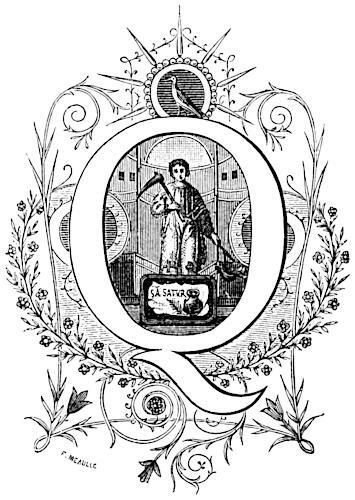 The letter “Q” surmounted by a bird (a stork?) 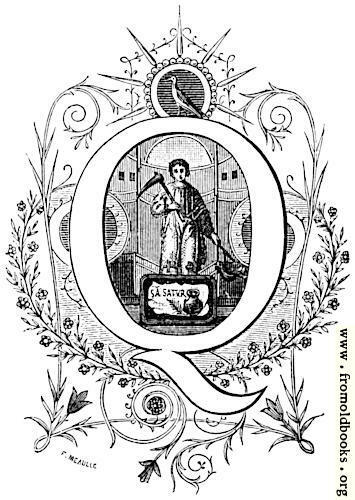 and with flowers all around, contains a man carrying a pickaxe and wearing a monk’s or cleric’s robe marked with the sign of the cross; at his feet a box or altar with an olive branch and a jug or ewer and the words SÃ SATOR upon it. 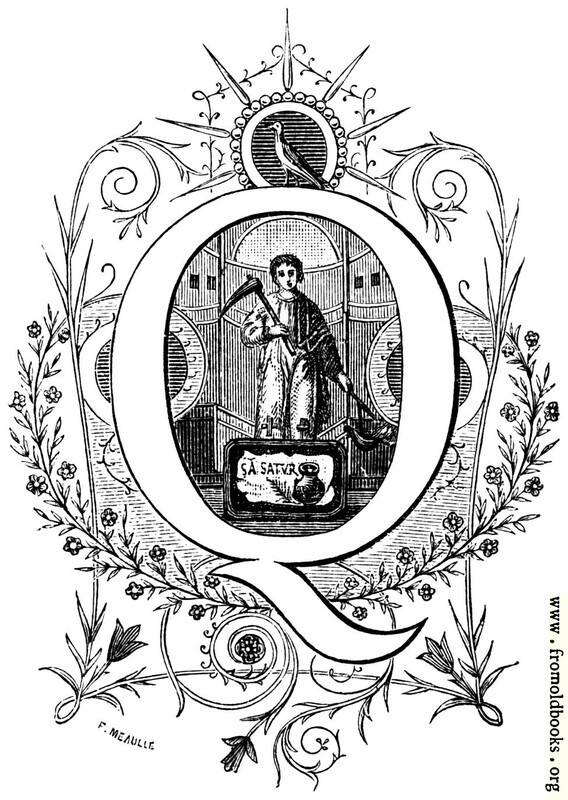 This decorative letter Q was used as a drop capital decorative initial at the start of a chapter.